NICE SIDE BY SIDE LOTS IN HARBOUR HEIGHTS. SOLD IN A PACKAGE FOR $3,500. 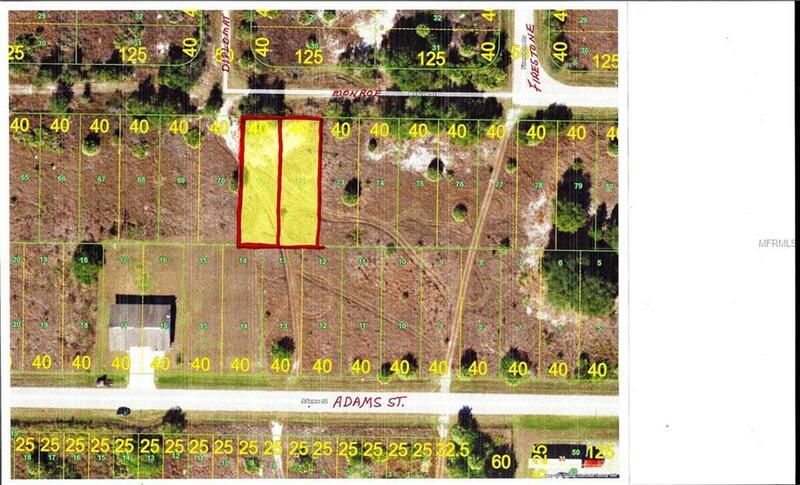 LOTS ARE ZONED RESIDENTIAL RMF-10. THIS IS A LOVELY COMMUNITY WITH A BOAT RAMP, TENNIS COURT, GOOD FISHING. THIS PRICE IS Sooo RIGHT. OWN A PIECE OF FLORIDA, FOR NOW, OR FOR YOUR PORTFOLIO.